INHART Laboratory has been established in 2013 with its aim of providing analytical testing services and researches on Halal and Toyyiban aspects. Post launching ceremony on 27th January 2015, INHART Laboratory received certification on ISO 9001:2008 Quality Management System specifically in biochemical testing services provision on 23rd September 2016. 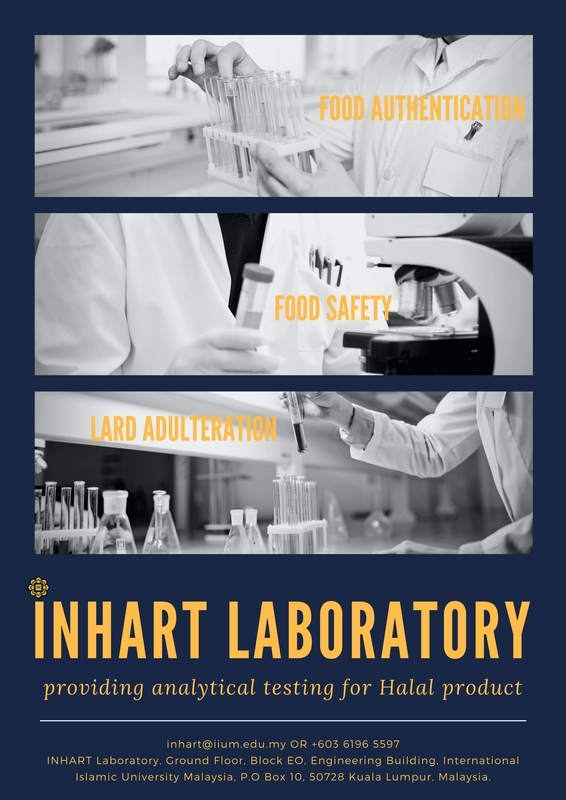 INHART Laboratory will continue to assure customer satisfaction and determined to improve its current investment in quality laboratory services. This laboratory is equipped with analytical instruments such as Gas Chromatography Time of Flight Mass Spectrometer, Ultra-high Performance Liquid Chromatography, Fourier Transform-Raman Spectrophotometer, Fourier Transform-Infrared Spectrophotometer, Real time Polymerase Chain Reaction, Differential Scanning Calorimeter, Texture Analyzer and Super Critical Fluid Extractor. 3. INHART Laboratory will issue quotation. b) Payment by grant. Please fill in the checklist for research financial claim/payment request form and Journal Request Memo as attached with the quotation. Please submit the form and memo to INHART Laboratory. 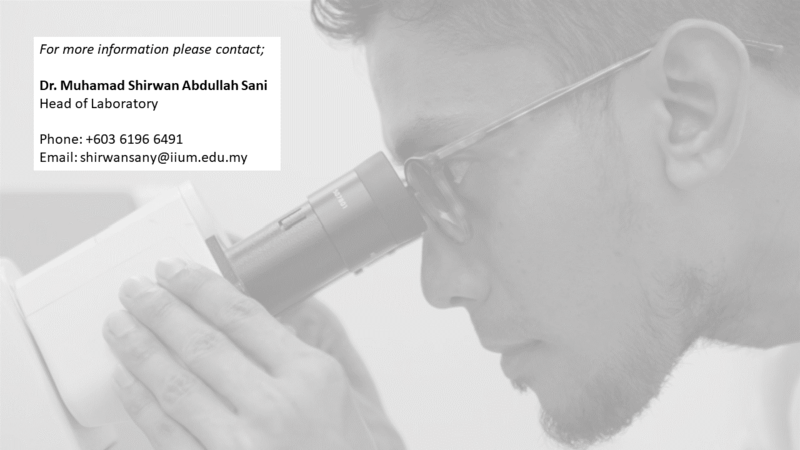 INHART Laboratory will submit them to Research Management Centre, IIUM. 5. Client will receive booking date of the analysis. Please prepare and send sample(s) on the booking date. 6. IIUM Finance Department will issue receipt of client's payment. 7. Upon completion of the analysis, INHART Laboratory will send survey form to client. 8. Client will receive the analysis result after completing the survey form.